Indian information technology services firms are expected to report muted quarter on quarter growth of just 1-3 per cent in the three months to December due to delays in new outsourcing projects in the US and Europe. Super storm Sandy that ravaged the US in October 2012 is also expected to have a considerable impact on the revenues of the Indian outsourcing firms. American chocolate maker Hershey Co. has announced that it would the remaining 49 per cent stake in its Indian joint venture company Godrej Hershey. Hershey currently owns a 51 per cent stake in the joint venture, while Godrej Industries possesses 43.4 per cent stake. The remaining stake is in the hands of another minority shareholder. Following the purchase of the remaining stake, the American company will enjoy full control over the chocolate business in one of the biggest markets of the world. Wipro declared Q1 results with 18 per cent increase in net profit year-on-year. The company reported net profit of Rs 1580 crore compared to Rs 1481 crore during the same quarter last year. The company has announced that it expects flat performance in second quarter. Due to uncertain economic environment in Europe and United States, the company is not expecting much of improvement in margins or revenues from both markets. Indian Stock Markets have started the year 2012 on a positive note and investors have already noticed between 10-20% increase in their wealth as most stocks have offered good returns in January and February. Driven by higher domestic demand and higher consumption in the local market, Indian markets are among the most optimistic compared to other emerging economies. The consumer confidence index has increased to 122 in Nielsen report. After six weeks on gains, technical experts are expecting the stock markets to see some pressure. Going stock specific, there are many stocks, which have gone much higher in terms of valuations and are trading above the comfort zone. Angel Broking has suggested Accumulate Call for FMCG major Marico. The company has a market capital of Rs 7988 crore. With a 52-week high of Rs 136, the stock is trading near its yearly highs. Angel Broking has given the volume growth in hair oil and cooking oil as a major driving factor for the strong future growth at Marico. The coconut oil brand of Marico, Parachute is expected to grow at 7-8% in terms of volume. As the price has been strong in the recent times, the company is expected to register better margins. 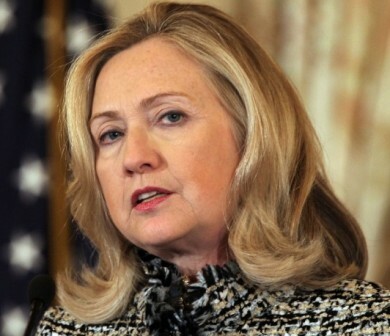 Washington, Nov 16 - Saying that the US was not interested in a long-term presence in Afghanistan to rebuild the country and have a functioning democracy, Secretary of State Hillary Clinton has said the primary American mission there was defeating Al Qaeda. "We're not interested in staying in Afghanistan; we're not interested in any long-term presence there," Clinton told the NBC programme "Meet the Press" Sunday. It was a disappointing day for bourses as the Sensex fell more than 491 points weighed by real estate, metal, oil & gas, power and IT scrips. Broader markets added fuel to the outlook, following weak global reactions. With the gradual improving market conditions, the Samvat 2065 proved very fruitful for BSE Sensex, yielding 100 per cent results between previous Diwali and current one. No one could have even imagined such a stunning growth in the capital market given to the challenges posed by global slowdown. Dinesh Thakkar, CMD, Angel Broking said, "Markets have bounced back from its lows, on back of the rebound in economic activity and improved corporate performance." Buenos Aires - Argentine President Cristina Kirchner Sunday ordered an official period of mourning for Argentine folk singer Mercedes Sosa, who died Sunday in Buenos Aires after falling seriously ill with a liver ailment earlier in the week. Kirchner and her husband, former president Nestor Kirchner (2003- 2007), joined cabinet members in an emotional farewell from the singer and national folk hero, whose body was held in state in Parliament. Indian equities closed choppy session on a flat note on Thursday. Buying action was witnessed in Teck, IT and banking stocks, while healthcare, auto and consumer durables went down. 5,083.40. It hit a high of 5,110.50 and a low of 5,057.05. BSE Midcap Index was down 0.35 per cent and BSE Smallcap Index slipped 0.44 per cent. Nosh for Posh: Online game allows players to throw food at skeletal Posh! London, Sept 25 : Victoria Beckham’s skeletal size zero frame has inspired gamers to launch an internet game where players hurl food at her. The game titled ‘Nosh for Posh’ requires players to throw burgers, fruits, veggies and sushi at a tiny moving face modelled on the former Spice Girl. Gamers are introduced to the game by a cartoon of Posh, which says: "Help me!!! I need to put on weight!" Indian stock markets ended the choppy day on a positive note on Friday, taking support from optimistic global indications. Consumer durables, PSU, banking and IT stocks were the major supporters of the market, whereas profit booking was seen accross FMCG, realty and oil & gas stocks. BSE Midcap index lost 0.13%, while BSE Smallcap index was down by 0.38%. 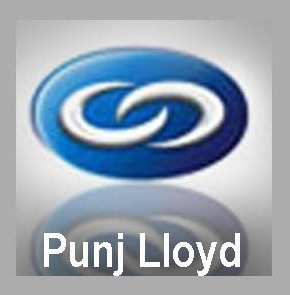 Punj Lloyd, a diversified global conglomerate, has posted a consolidated net profit of Rs 127.16 crore in the first quarter of the fiscal, up 13.68 per cent, compared to same period last year. The company posted a net profit of Rs 98 crore, corresponding quarter last fiscal. India's largest sugar refiner Shree Renuka Sugars, has decided to expand its sugar refining capacity at its Athani unit in Karnataka to 2,000 ton per day. The facility presently has capacity of 1000 tonnes per day. Apart from this, the company intends to setup up a sugar refining capacity of 1,000 tonnes per day at its Havalga unit, in Karnataka. Both plants are expected to be commissioned by December this year. Angel Broking is looking bullish on Shree Renuka Sugars. In a latest recommendation call, the broking house has advised traders to buy the stock for target of Rs 152, but with stoploss of Rs 131. Satyam Computer Services is a good buy at current levels. The stock has lost over Rs 60 today and is currently trading at Rs 166. Investors can pick the stock at current levels as the fundamentals are strong. Citi rated the stock sell on basis of Corporate Governence issues and not on lower business. The company’s plan to get into other sectors has been condemned by various Institutional Investors.